I wasn’t white until I grew up. This is on my mind today after reading that, according to the USA census categories, “Arabs are white”. Yet Muslims are seen as “people of colour”. Somehow there is a disconnect in those two nuggets of information. But then bigotry was never big on logic. Or even thinking. My background is a mix of Eastern European. A melange of Croatian, Hungarian, Roma(Gypsies) and no doubt a few other stray stands of genetic material. My parents fled the retribution that followed the failed Hungarian Revolution in 1956. They lived through a winter as refugees in what was then Yugoslavia. Eventually though a series of random events they ended up on a refugee ship bound for Quebec City, Canada. A whole series of other random events led them to find work as ‘sharecroppers’ on the tobacco farms north of Toronto. My mother made it clear to me that – while we were European – we were never considered “white” by the local measure of the 1960s. Even today in the Barrie area whiteness is bestowed by having Anglo-Saxon Protestant roots. As a child I clearly remember being told I was a foreigner – even if my birth certificate said “Born in Canada”. I did not belong in the Great White North. My skin was permanently tanned – we might today call my skin-tone “olive”. In the summer I would turn a lovely shade of leather. My family has an almond shape to our eyes, and a very slight extra fold. Not quite Asian – yet in the brilliant white of 1960s British Ontario that is what I was called. Except not in the polite way. I was told I couldn’t be in certain groups because of my ‘heritage”. Being “not quite white” no doubt implied my hearing wasn’t quite in the normal range to hear past the white-noise all around me. By the time the 1970s rolled around, I was apparently more white and less odd. It likely helped that a family with some indigenous blood now sent their children to school. They were a degree darker in shade, and clearly that meant they should now be shunned. Oh bigotry – you astound where you abound. Still, it wasn’t that I was now included in the circle of white. Rather I was less visible. Not better, but certainly less bitter. In high school, the skin-tone separation returned to my reality. I again became, somehow, Asian. Until the Wong family came to school. Then it was clear I couldn’t be a “china-boy”. Nor was I Japanese (in spite of my obsession with Japanese culture and animation at the time!). I suddenly became a ‘native.’ And what was I doing off the reserve and pretending I was white? The ultimate marker of my non-belonging was when the Asian crew thought they should beat me up. Grade 10 was hell. I became the daily target of attacks from the few Asian students in my grade. Punched in the head. Kicked when in line. Spat on. They knew no-one white would come to my aid. And there were no other “native” kids to come watch my back. I was Rezlad; and RezReject. And that made me a target. Mostly I ignored it for the usual 20-seconds of discomfort it caused. Still what I do remember most vividly about Grade 10 is the morning ‘nausea of fear’ and throwing-up in the bathroom before walking out to catch my bus. The one thing about coming from Eastern European peasant stock is my genetic material is rather robust. And we lived on a farm. By the end of Grade 10, I was filling out from carrying 100 lb sacks of grain to the barn through the snow. That spring one of the tougher members of the Asian crew put me in a headlock as the others egged him on. I remember letting him bend my downwards and then my grabbing his nuts and squeezing. He screamed and fell to the ground rolling in pain. I walked away and never looked back. Grade 11 was a better year for me. The only odd thing about Grade 11 (and the rest of my high school years) was I became an Eskimo. That became my nickname and my category. In the 1970s being Eskimo(Inuit) was better than being an Indian(First Nations). Why? I have no clue – maybe it was exotic in the worse sense of that words meaning? It still wasn’t white. Yet somehow it also inspired me. I read everything I could about the north and the people’s that lived there. I even taught myself how to carve soapstone, shaping small animals in my alone time. It was comforting. It was my (false) niche of contentment. I didn’t belong and I liked it. It was only when I went to University and lived in a more ethnically diverse community that I became (mostly)white. It only took 19 years before I was bestowed with that privilege. And let me tell you – in he end it really wasn’t all that great! There is privilege in whiteness; and there is a burden of stereotype for what and who I must have been – and that has erased my lived experience. The only thing I learned from that portion of my life is we humans are arbitrary in how we divide ourselves. Our pride is false. And our tribes are simply illusions that help us hide from reality. The wee bit of Roma(Gypsy) in me knows that I still don’t belong, and never will. And you know what? That is actually just fine! 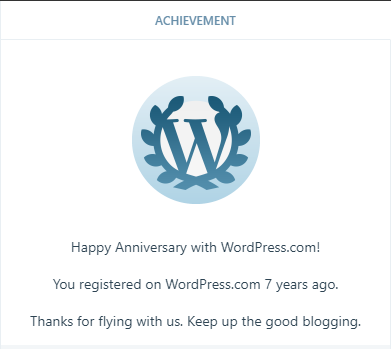 Apparently 7 years ago today I signed up and started spewing. Cold in my bones. Damnit. I’ve been at this for years now and look where I am. Same place. Different day. Running faster. Slipping back. Pointless hope. Pointless words. Pointless points. There is no coffee left in my cupboards.